The first element of the fourth and final legion. 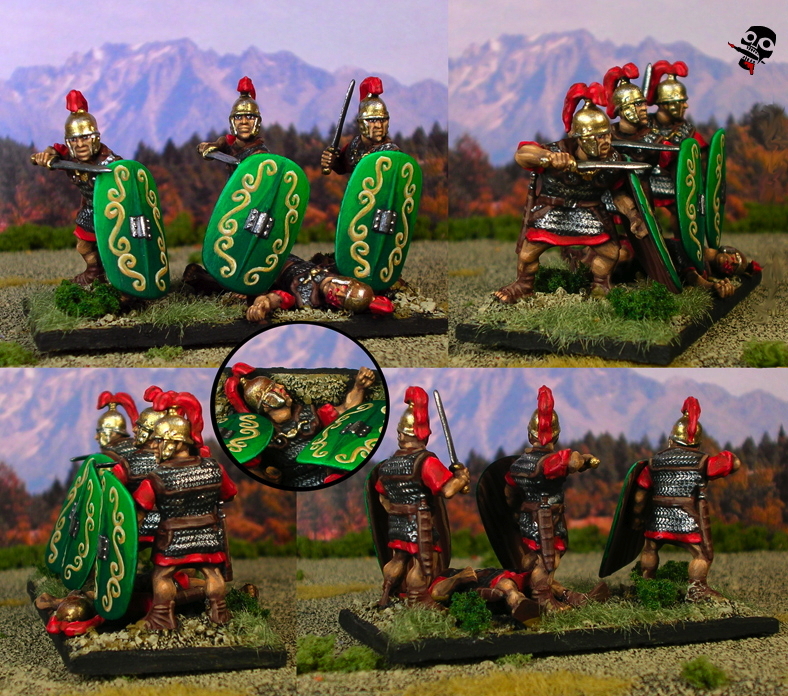 Back to the dead theme, this one features a downed legionary. The #1 rule in a fight is that if you go down, it's unlikely that you will be getting up! Unfortunately, the dead guy makes this element look a little sparse, with apparently only three figures on it... Oh well, it get's the message across! Also, I was quite happy with this shield design. Originally it was going to be a scoprion motif, but after the failure of the boar motif, I thought the geometric patterns were the way to go for Roman shields.